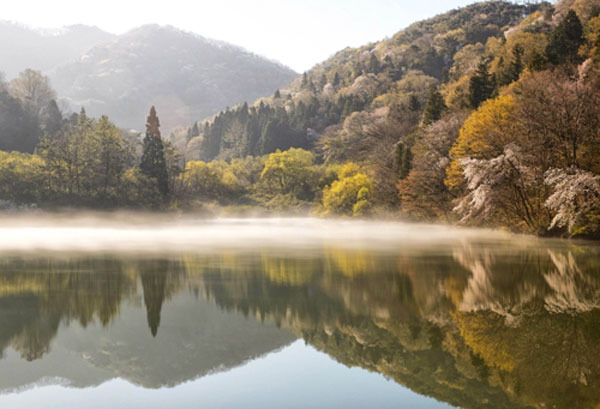 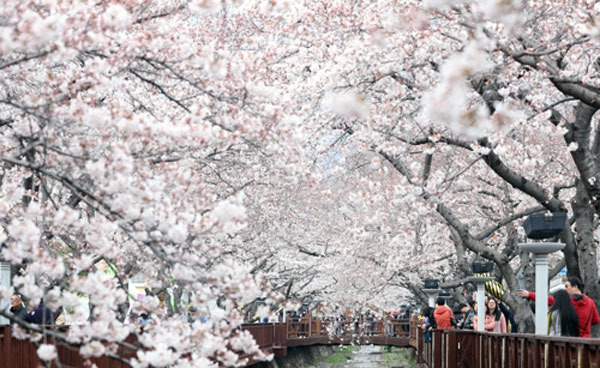 Cherry blossoms add to the stunning vista at Seryangjii Lake in Hwasun, South Jeolla Province. 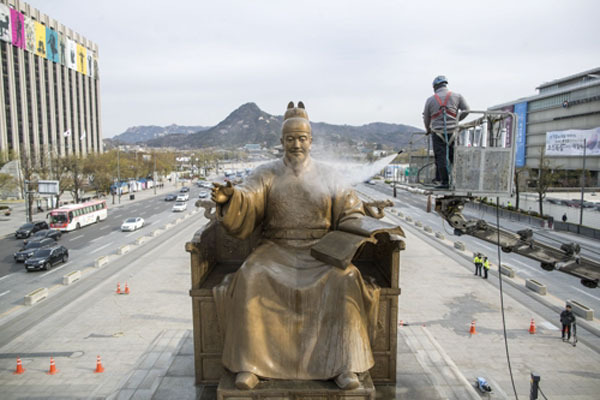 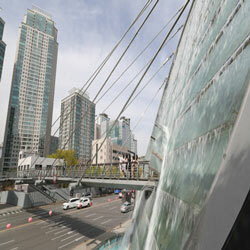 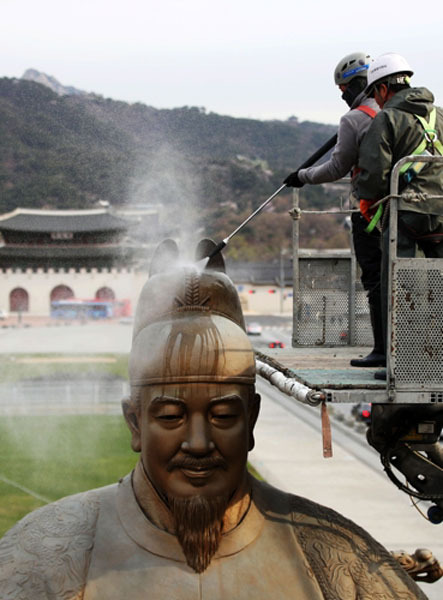 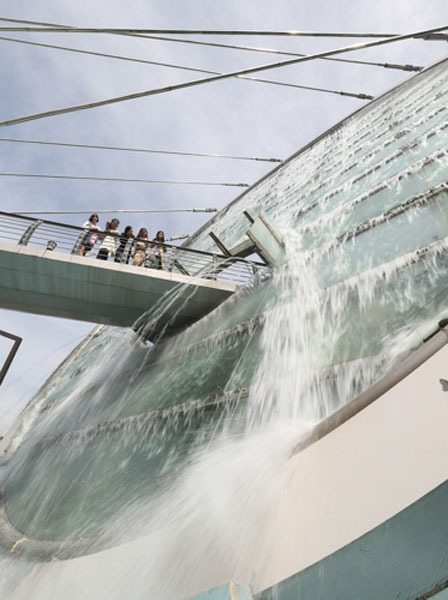 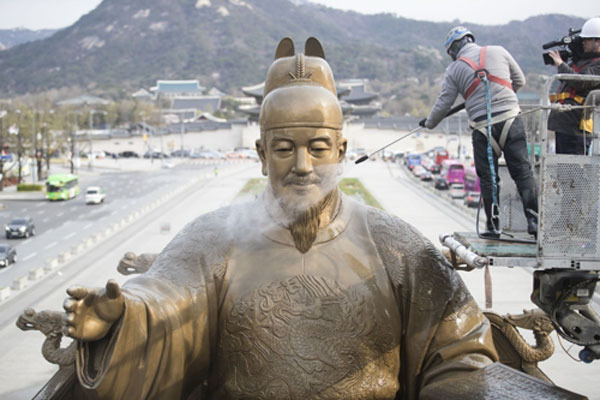 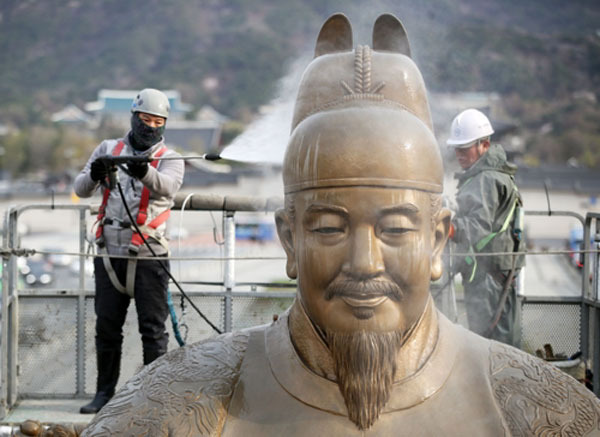 Using a low pressure water sprinkler, workers clean the statue of King Sejong the Great at Gwanghwamun Plaza in Seoul. 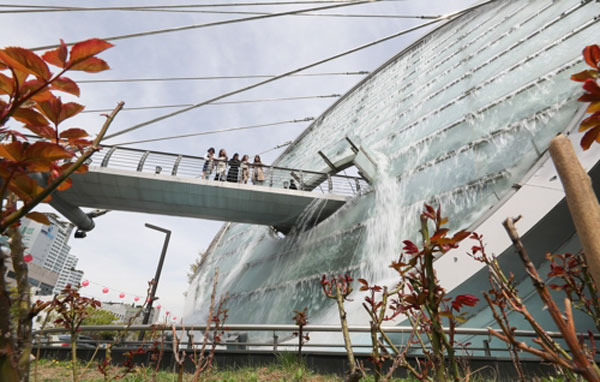 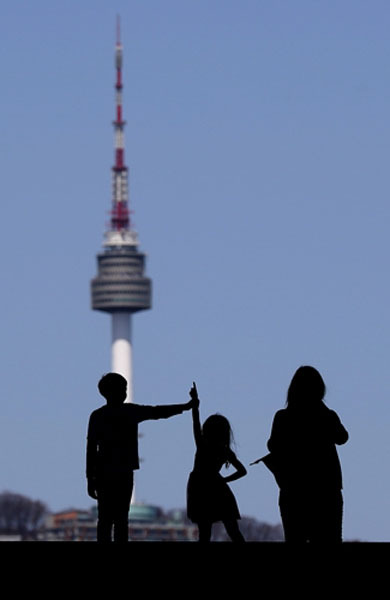 Children pose for a picture at the National Museum of Korea in Yongsan District, Seoul on Monday when temperatures were pleasantly mild. 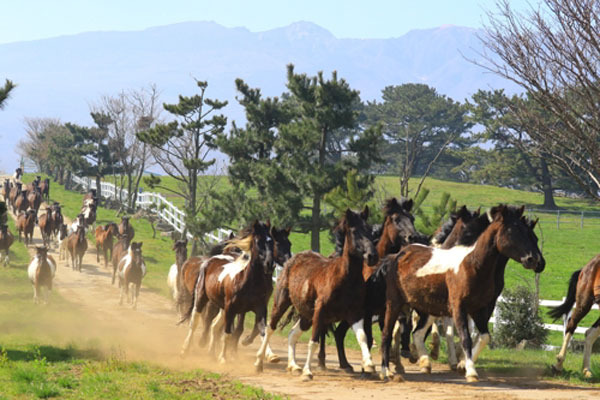 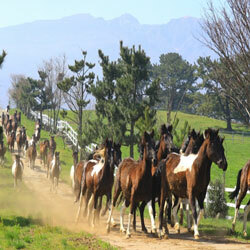 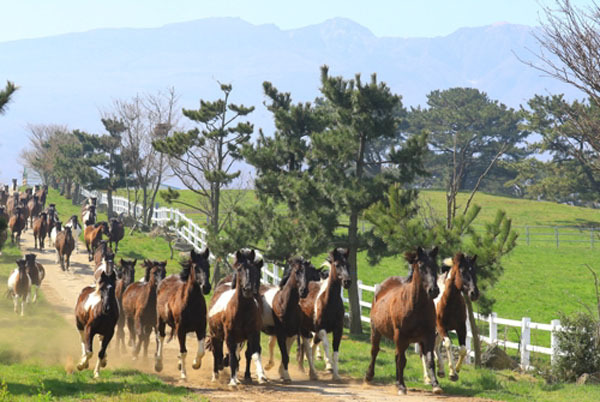 A group of horses, which are an improved variety of the native Hallama riding horse, heads toward the grazing land during a public showcase held at the National Institute of Animal Science in Jeju City, Jeju Island. 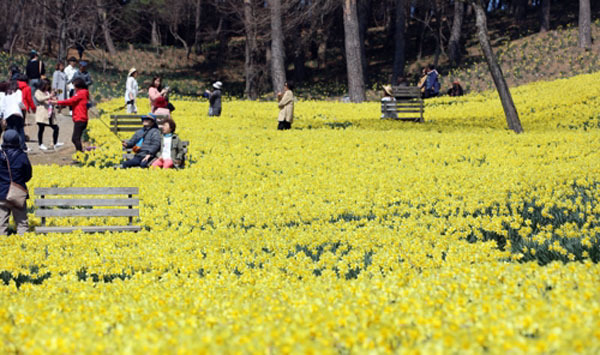 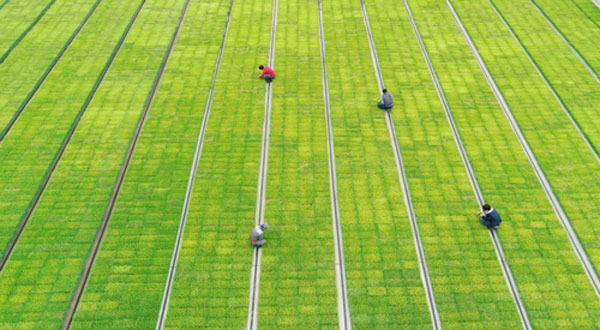 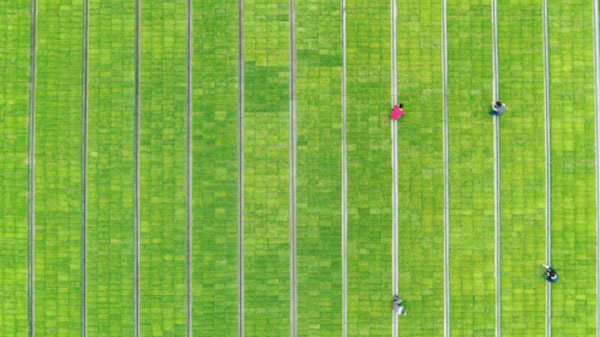 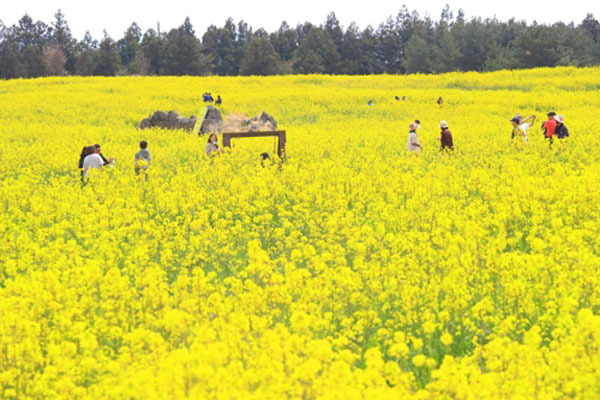 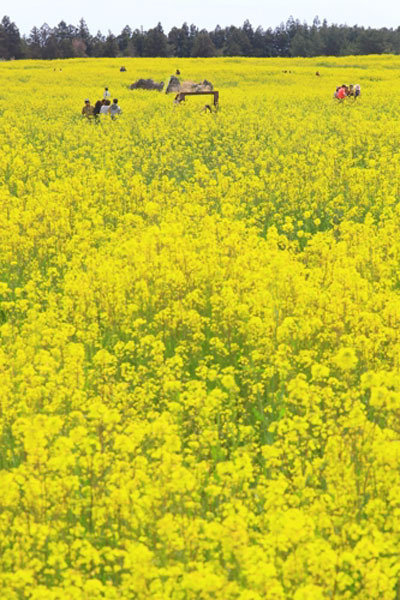 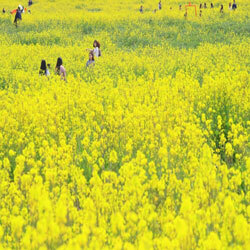 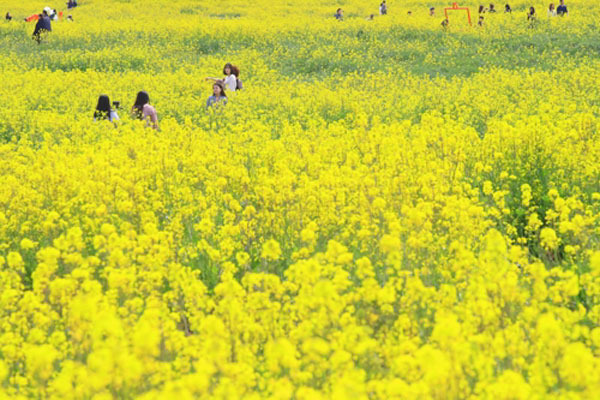 Visitors bask in the yellow blossoms at the 37th Jeju Canola Flower Festival under way at Jeju Horse Park in Seogwipo City, Jeju Island. 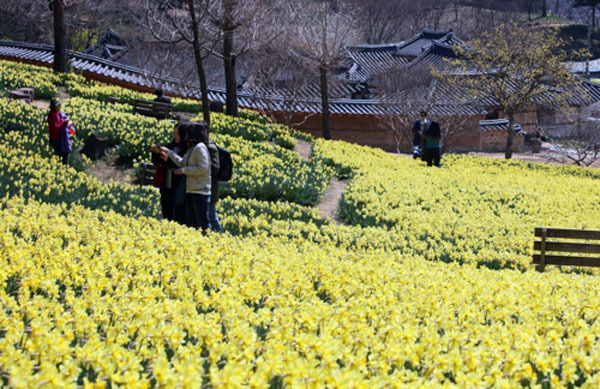 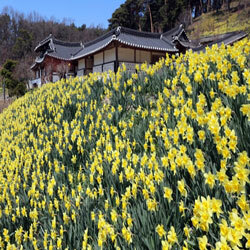 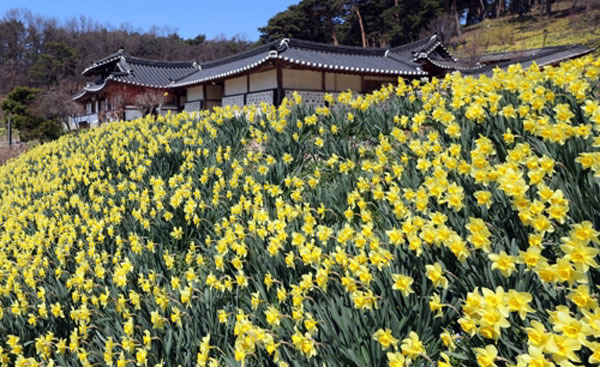 Bright yellow daffodils are in full bloom at the 100-year-old "Yoogibang" mansion in Unsan township, Seosan city in South Chungcheong Province, as midday temperatures begin to climb. 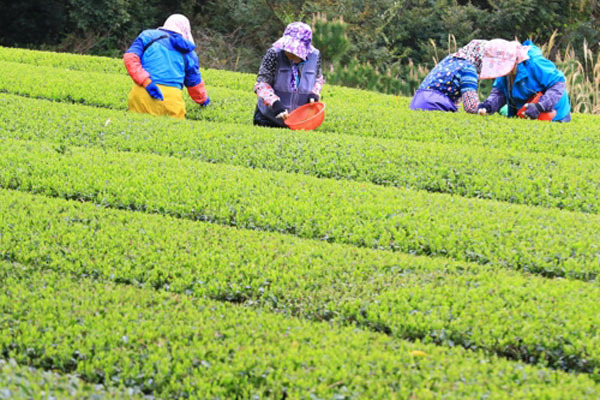 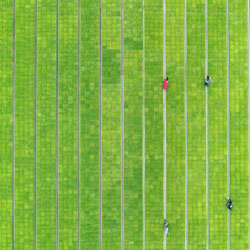 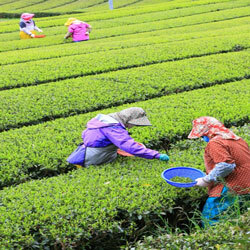 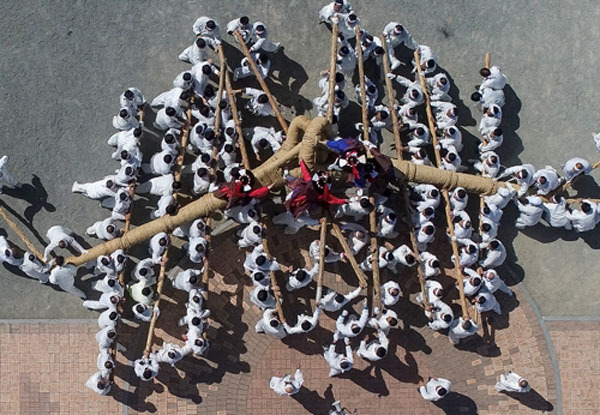 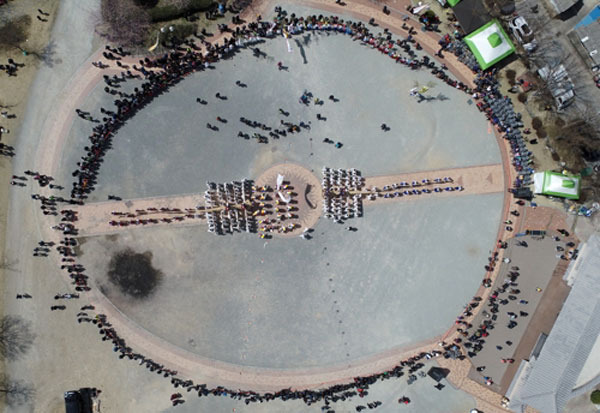 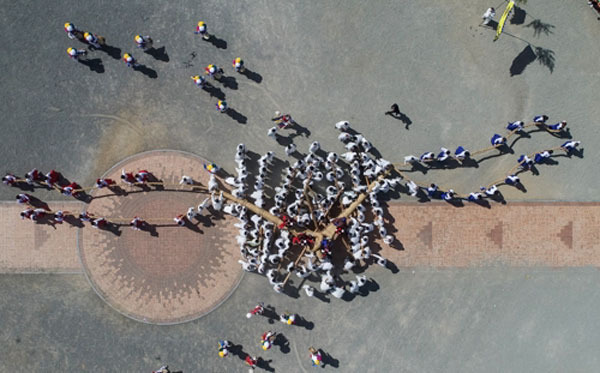 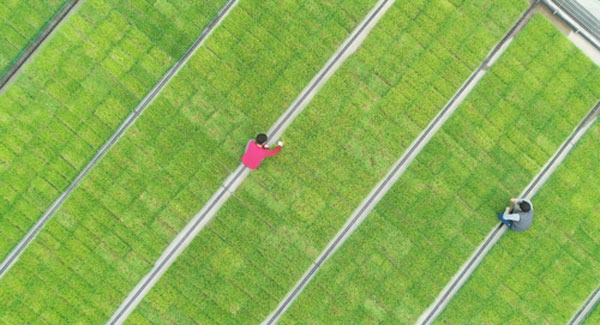 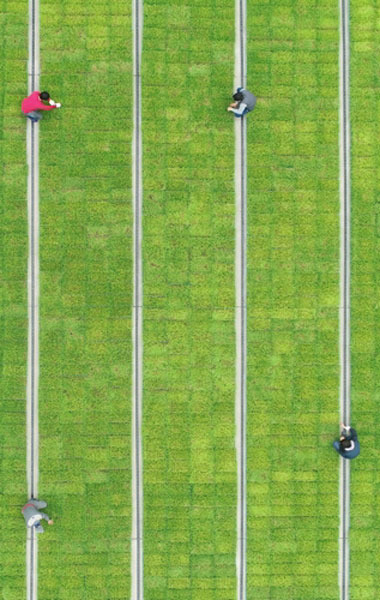 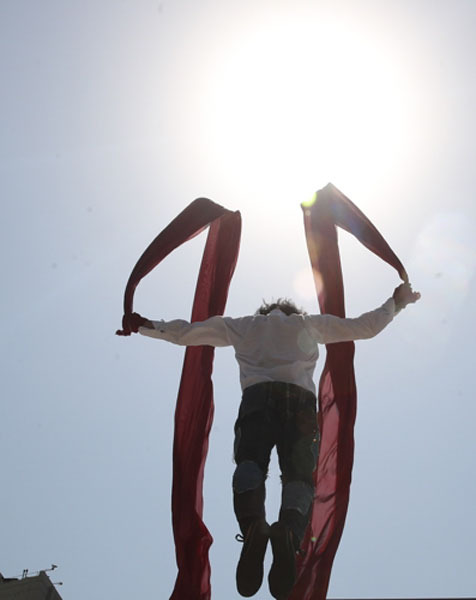 Residents of Chilseok Village showcase a demonstration of the Korean traditional game of Gossaum Nori (Loop Fight) during the 37th Gossaum Nori Festival held in Chilseok-dong, Gwangju City. 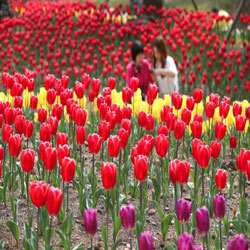 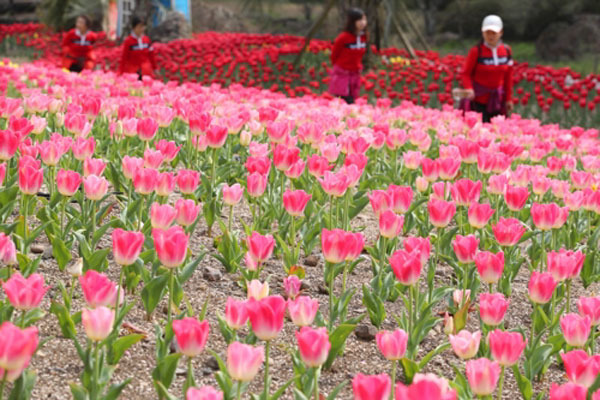 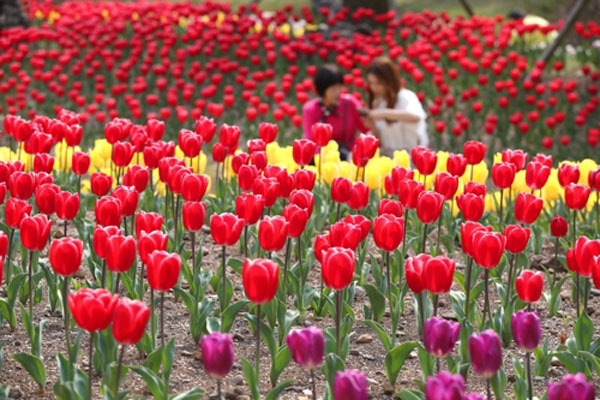 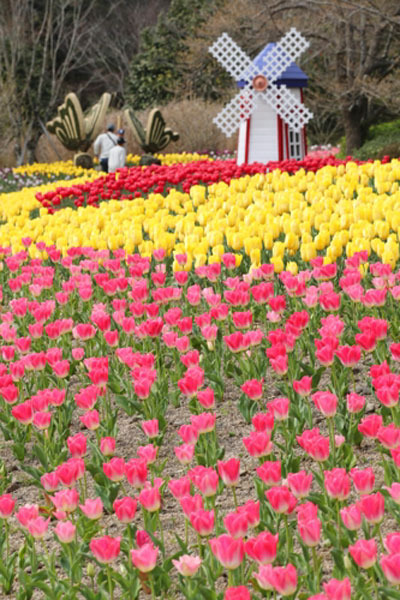 Red tulips are in full bloom at Sanghyowon Botanical Garden in Sanghyo-dong, Seogwipo City on Jeju Island. 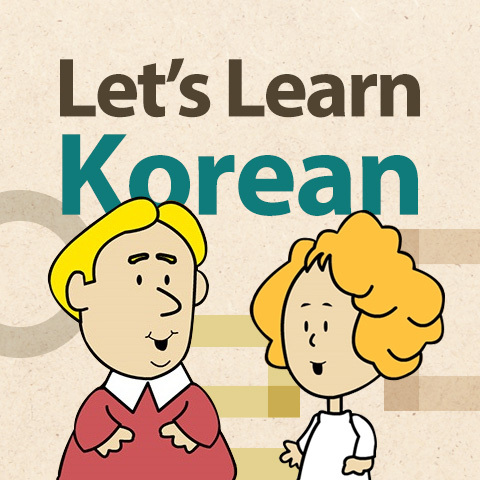 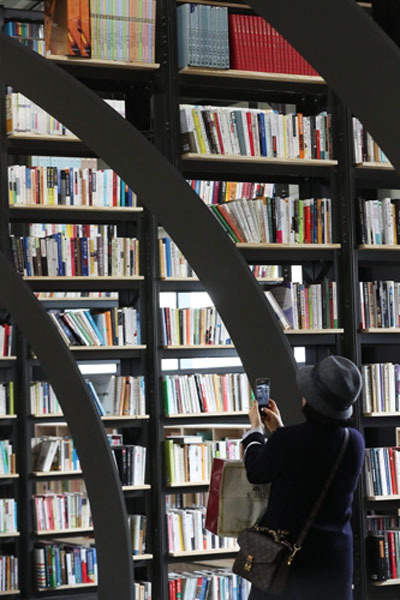 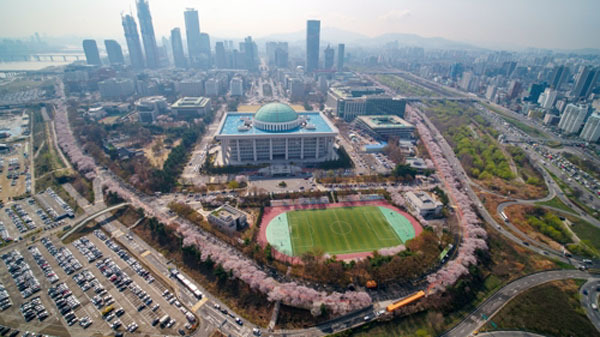 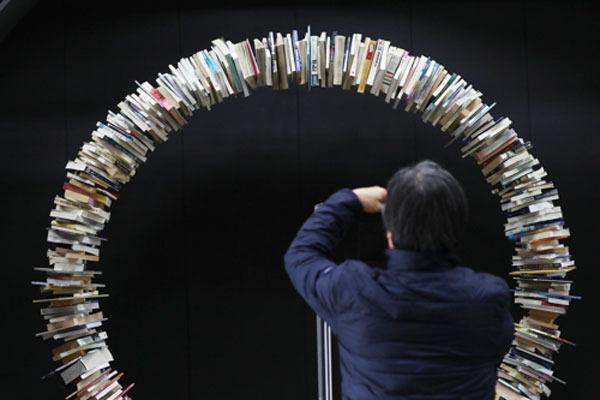 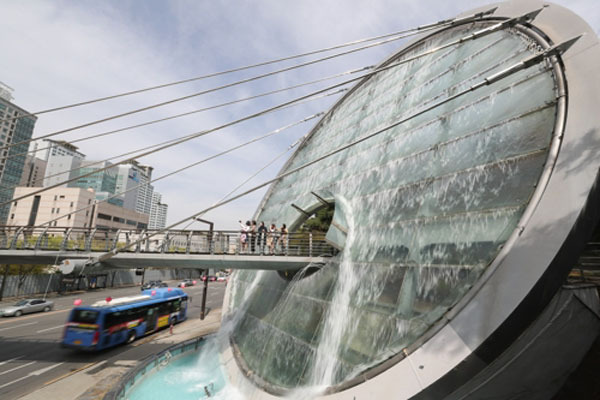 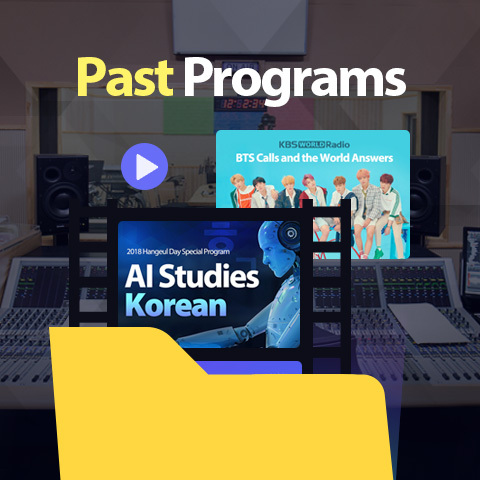 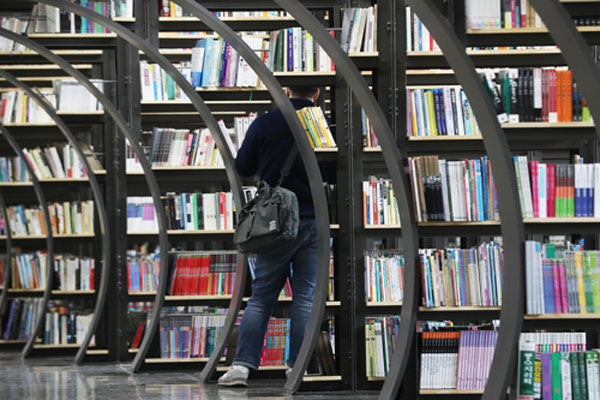 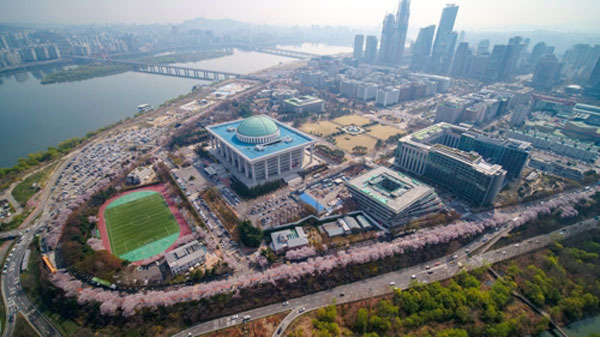 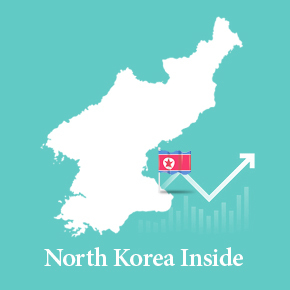 A public secondhand bookstore has opened in Seoul's Songpa district called the Seoul Book Repository at the site of a former reservoir warehouse. 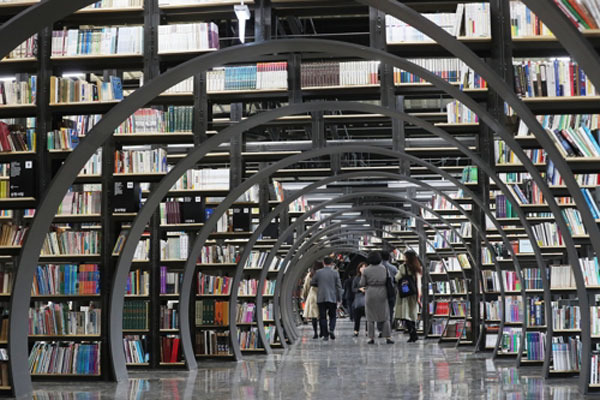 This is the country's very first public used-book center. Thirty-two iron bookshelves are placed along a meandering hallway. 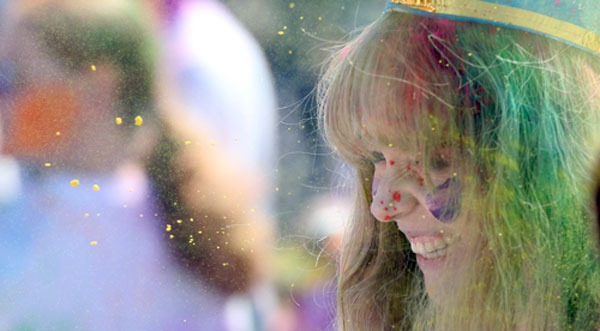 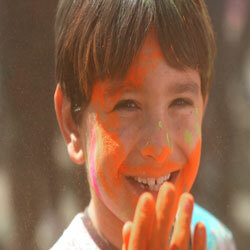 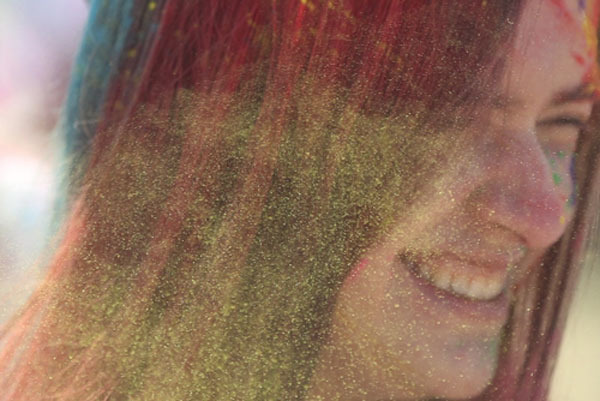 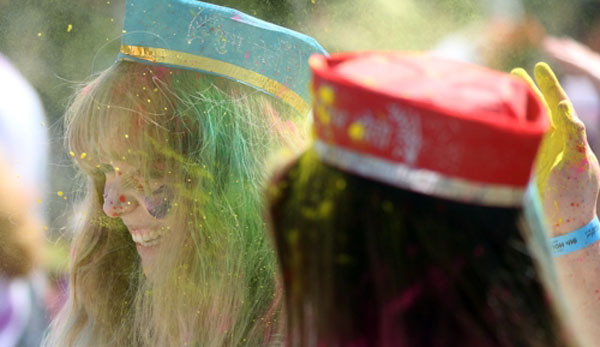 Visitors have fun with color powders at the 2019 Holi Hai, the Festival of Colors, held near Miryang River in Miryang, South Gyeongsang Province. 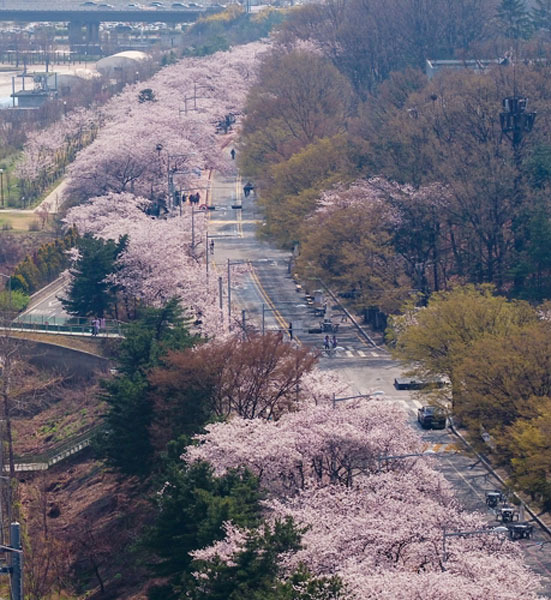 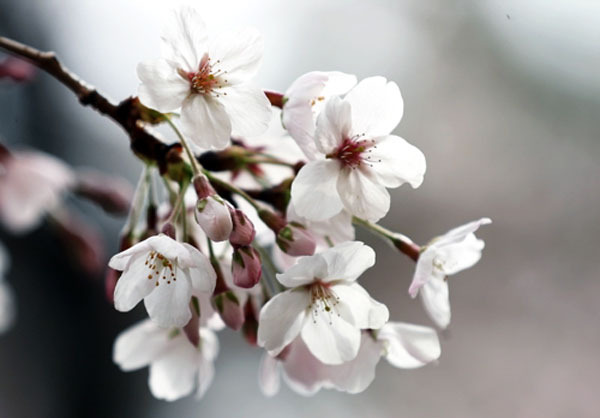 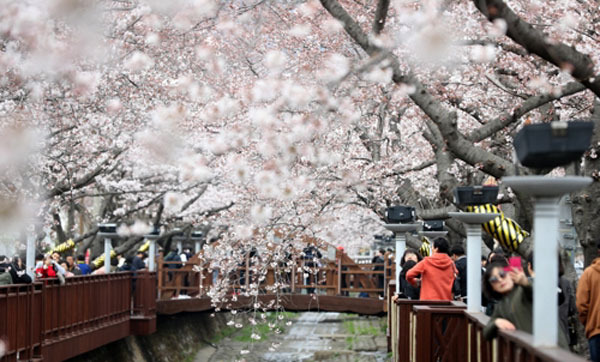 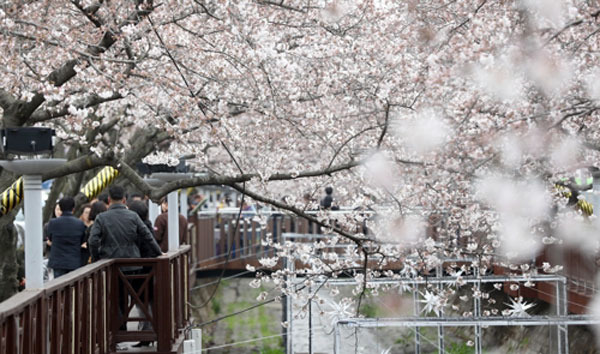 Cherry blossoms are in full bloom in Jinhae in Changwon City, North Gyeongsang Province on Monday with just a week left until the Jinhae Gunhangje Festival, the largest spring flower festival in the country.